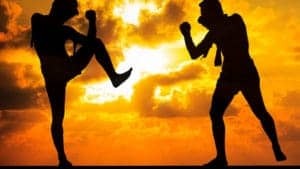 San Diego’s Kickboxing Gym | Best Kickboxing Classes & Training in San Diego! Welcome to our San Diego Kickboxing gym. We offer Dutch Style Kickboxing classes for Beginners to Pros. 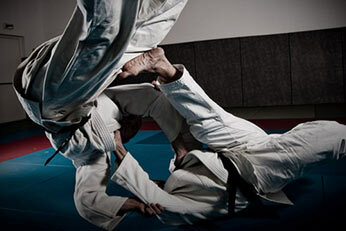 Dutch Kickboxing is the main striking system used in MMA and K-1. It includes Western Boxing, Japanese Kyokushin Karate and Muay Thai. Our coaches are well known for their ambidextrous style of Dutch Kickboxing, which has led to great success in the cage and the ring. 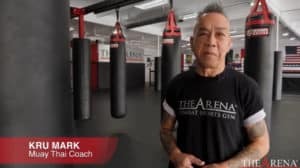 Please note although we offer the best Kickboxing fundamentals classes in San Diego, as well as advanced Kickboxing, this is NOT “Cardio Kickboxing” and we don’t offer those Kickboxing classes here. We’re a real gym and focus on real training for maximum skill acquisition and development. We offer multiple daily Kickboxing classes in our San Diego gym, ranging from teaching fundamentals to advanced striking and sparring. As in everything we teach, we first build a strong foundation to learn upon. Our Kickboxing fundamentals will improve balance, coordination, fitness and flexibility while teaching the basis of punching and kicking. From there, we move on to intermediate and advanced Dutch style Kickboxing training. 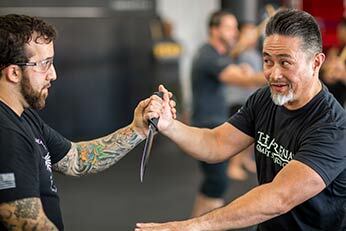 We teach a wide range of offensive and defensive techniques, all taught from our own San Diego Kickboxing style, using an ambidextrous approach and constantly employing multiple angles. 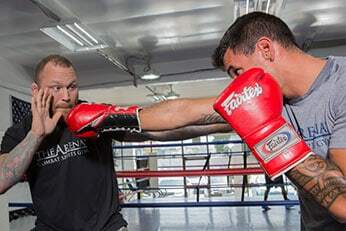 Advanced Kickboxing training in our San Diego gym includes a strong emphasis on sparring for competition. We offer the opportunity to spar in classes, as well as dedicated sparring sessions on specific days. Our athletes compete in a variety of Kickboxing and MMA events, from local Kickboxing and MMA shows like IKF and Epic to national promotions such as Glory and the UFC. 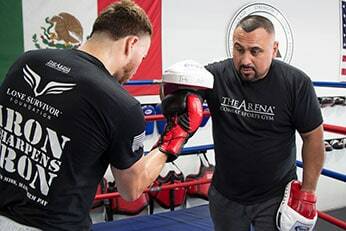 Besides our San Diego group training, we provide specific coaching, cornering and all other aspects of training and prep, including conditioning, nutrition, weight cutting and every other detail needed to succeed for competition. Our Kickboxing program is run by Coaches Vince Salvador and Charles Martinez. Both have a huge amount of experience in training and coaching Dutch style Kickboxing as a stand alone sport, as well as the main striking system for MMA. Coaches Vince and Chuck have developed a unique approach to coaching and teaching this striking system. Both are well regarded as two of the most knowledgeable Kickboxing coaches in Combat Sports. 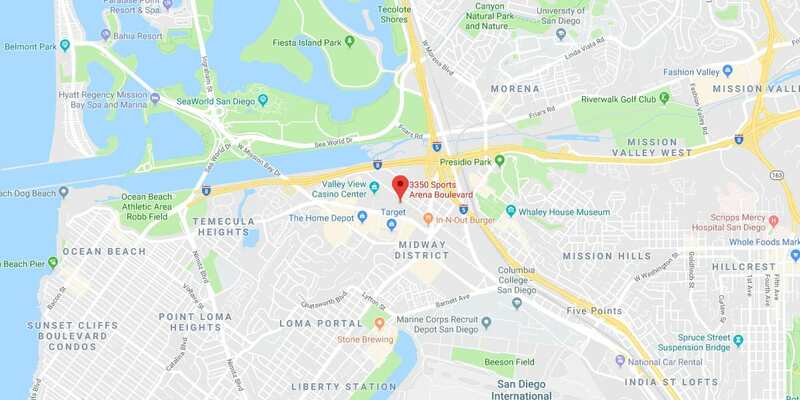 They have helped create a signature “San Diego Style” for our athletes, who are skilled in fighting from both sides using multiple angles of attack. Out of all of the passions in life this is the one where I felt I could really dedicate my life to it. Felt it was worth my time. I just believe in this and so I can dedicate myself to Kickboxing. It’s definitely a brotherhood. The sense of camaraderie is unlike anything else in my life. You know, I truly love these people like they’re family. You come here and you feel like you’re a part of something greater than yourself and it’s a blessing to be a part of it. I like the way that they put the Kickboxing classes together. I feel this method of teaching is the best way to do it. You learn how to be offensive and defensive at the same time in a real world environment. We get all kinds of members. Guys that are Novice all the way up to Professionals and legends in the sport like Chris Leben. 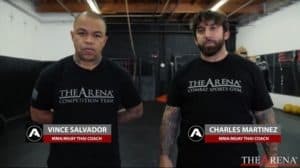 Whether you’re wanting to learn or you’re someone that just wants to stay in shape or you’re someone actually looking to fight, there’s a training partner for everyone here. Ready to take it to the next level? Want to compete for one of the best teams in Kickboxing? Then become part of Team Arena. Preparing athletes for competition is the backbone of The Arena and one of the primary reasons why we do what we do here. 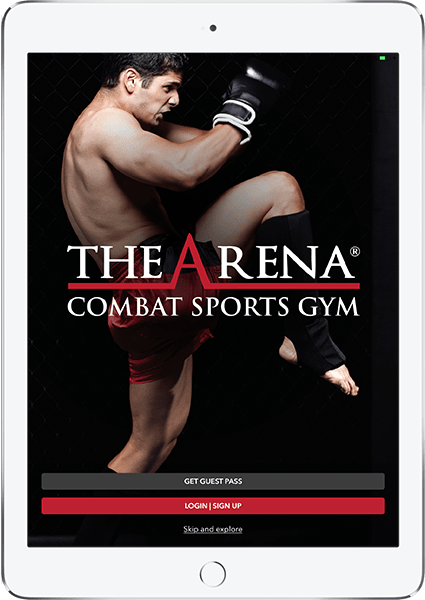 All you need to do to start on the path to compete for us in Kickboxing is to complete our “Ready to Compete for The Arena” form. Whether you’re just beginning in Kickboxing, or you already have Amateur or Professional experience, we have you covered. If you’re a Beginner, we’ll make you a skilled Novice. If you’re an experienced Novice, we’ll take you to the top of the Amateur ranks. If you’re a high level Amateur, we can get on the road to a solid Pro career. And if you’re a talented Pro who’s willing to put body, heart, mind and soul into it, we can bring you to a World Class level. Hi my name is Boungnaphonh Makthepharaks. Today we’re gonna show you the kick. The power kicks. Yeah, long range power kick and short range power kick. Long range is just, stretch more your legs out apart. Long. See how the shin goes back that way?